Well me and my best friend were looking for costume ideas since we wanted to go trick or treating. we really enjoy watching Disney movies, and since we are best friends we decided to have our theme "best buddies". buzz and woody are best buddies so we decided to go green and spend no money on either of our costumes. 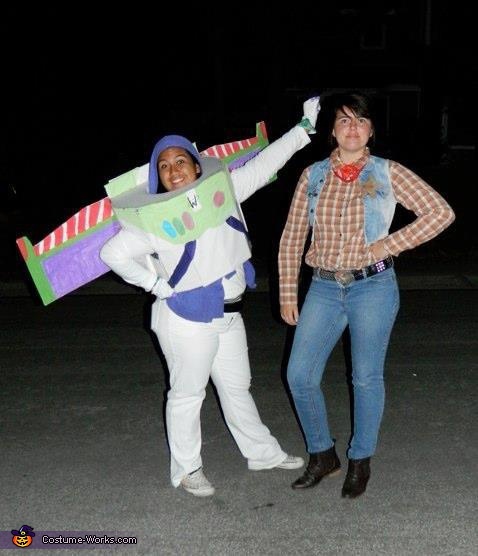 i am buzz and shes woody. what an amazing costume! you guys look great.